We received a wonderful opportunity to review the Standard Diploma from Homeschool Diploma. What a wake-up call this gave me! I almost have a senior in high school!! Almost, I have another year to go with him. But ordering a high school graduation diploma has been on my radar as I am thinking ahead for all the things I want to do for him. Ordering from the Homeschool Diploma website is extremely user friendly! I did not even realize the amount of graduation products that were available. 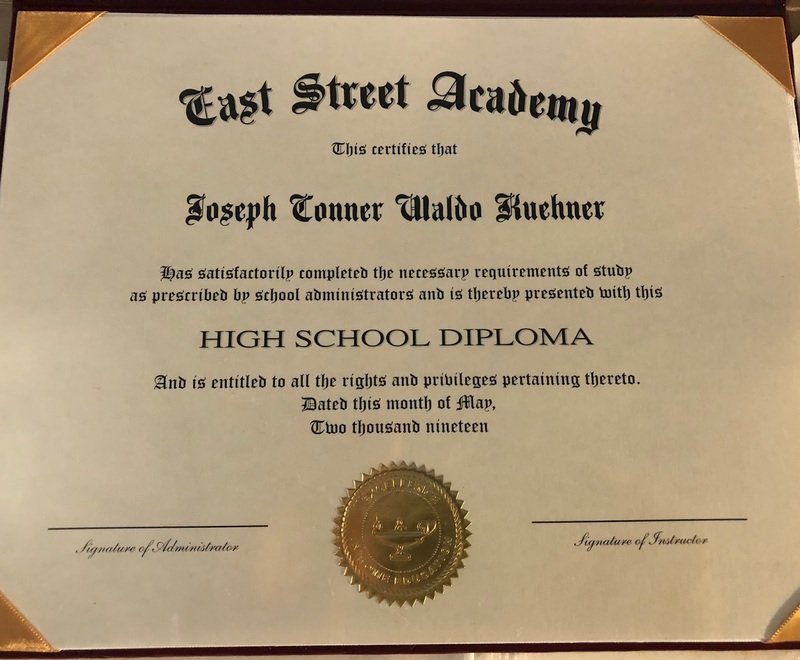 I never had an 8th grade graduation, but guess what....Homeschool Diploma has you covered. They are actually available for all your graduation needs, even as young as Kindergarten products are available for order from their site. 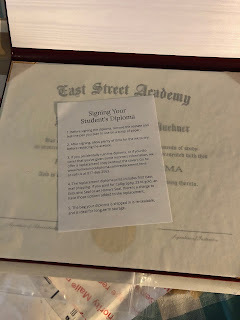 Homeschool Diploma also offers graduation announcements, printed thank you cards, keepsake photo items and even class rings and class jewelry. When we started ordering the Standard Diploma (High School Diploma) ordering process, fully expecting it to take me a little while to get everything typed in and ordered. I was wrong. Homeschool Diploma has created a extremely user friendly site. I went with the Standard Diploma option. They start at $29.99. 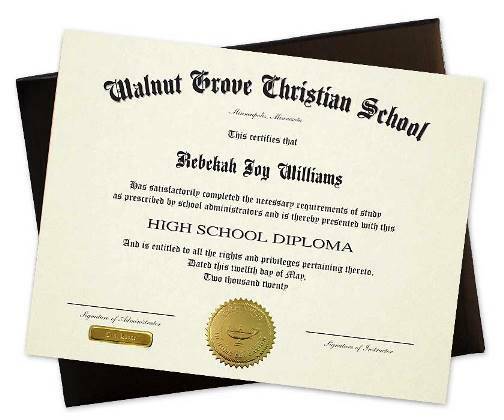 With this option, you can choose from an 8.5 X 11 or a 6 X 8 sized diploma. If you have more than one student graduating, you can choose this to start building from. This allows you to enter information once, and not repeatedly. There are 10 steps that you will be going through from this point. You are given choices of the center Gold Seal. 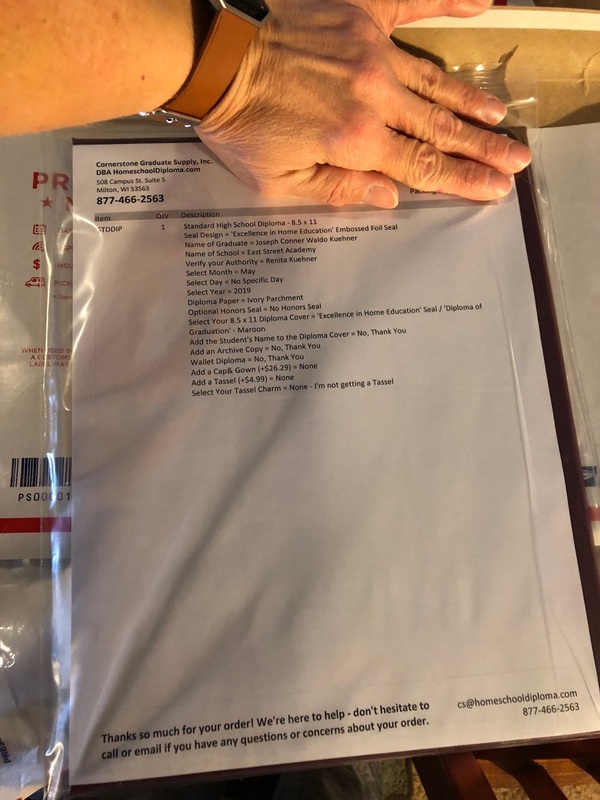 Student name, Homeschool (school) name, graduation date, honors designation received, choices of covers, and from this point you can also choose to order your cap, gown and tassel. All of which you can order to match the cover of your diploma if you choose. 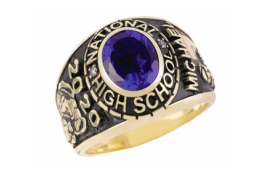 I had honestly forgotten all the little details and items that you can order for graduation. I graduated from a public school, and it was a big deal to have all those little items. I had the extra tassel, yearbook, class t-shirt and it all added up. If you have a student who wants all of these items, Homeschool Diploma makes your shopping so easy and all the prices are extremely reasonable. Since Joey will not be graduating officially until next year, I held off on announcements, etc. We are not sure obviously when we'll hold his Open House. But next fall, I'll definitely know where I'll be going to these materials. Once I had the diploma ordered, it was a matter of timing how many days until it arrived. 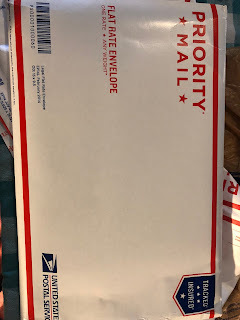 Our diploma shipped USPS Priority, and it arrived in just a few days. So if you have to wait until the last minute, do not be afraid, they have you covered! Our diploma went out the next day. 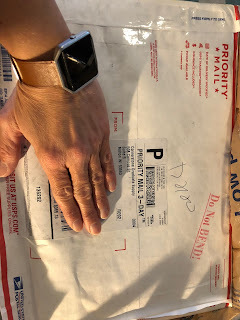 And it arrived in excellent condition...packaged very well. It was securing wrapped in a plastic bag, just in case there may have been a potential shipping issue. Now bear in mind....I ordered nothing extra. I went with the Standard Diploma and didn't order any extras on the diploma, and I loved the way it turned out! The cover was very nice and the pressed gold lettering was well done. 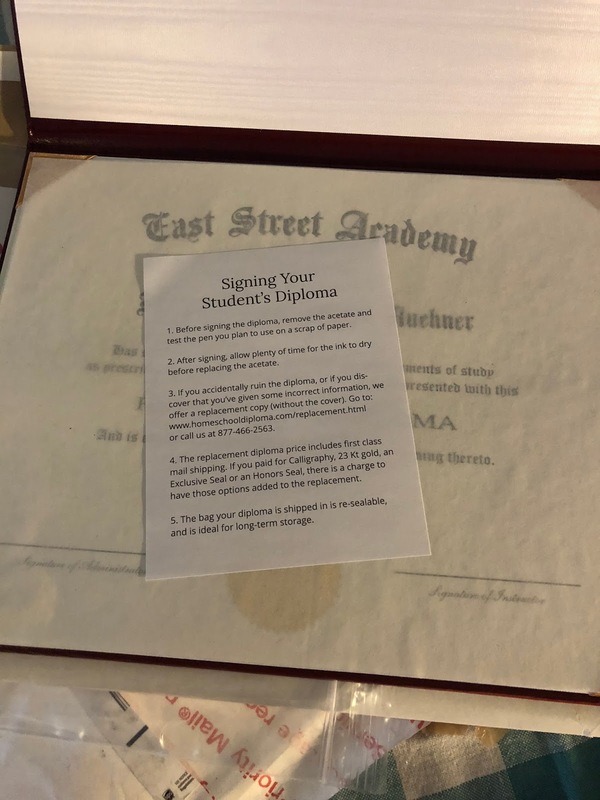 To protect the diploma, there was tissue paper, and even suggestions on how to sign your diploma. And this was soooo real!! I really liked the layout and the parchment paper it was printed on. Joey thought that this diploma was amazing! He liked the color of the cover and the lettering also. He said he would be proud to show that diploma off to anyone, especially since he has worked so hard to get through school. 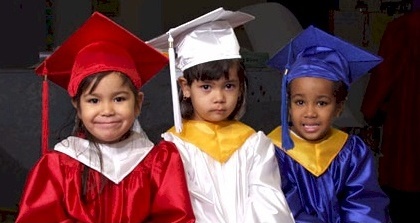 Homeschool Diploma has made graduation materials basically into a one-stop shop. The ordering experience was great, and the options for all the supplies was abundant. There is something for every budget type and student's personality. 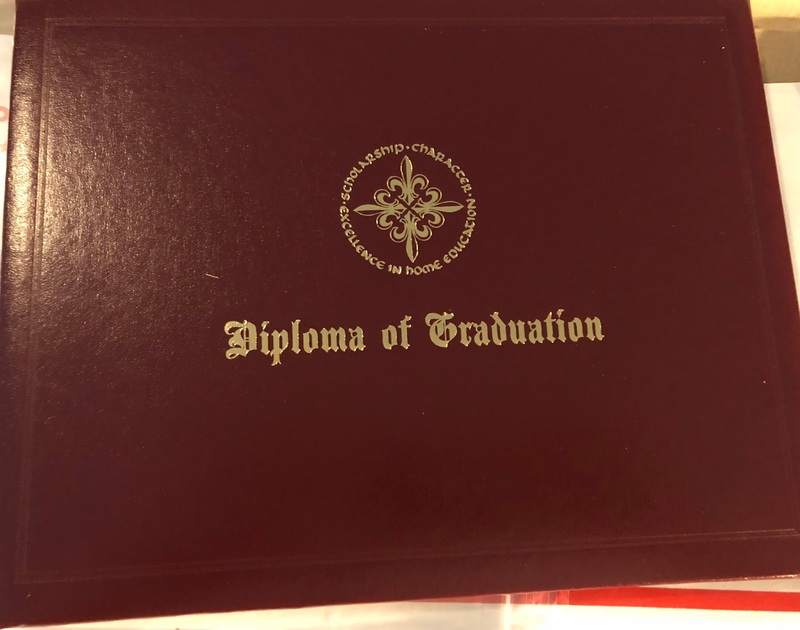 Several members of the Homeschool Review Crew were given the opportunity to review several other products from Homeschool Diploma including the cap/gowns, 8th grade graduation diploma and kindergarten diploma. 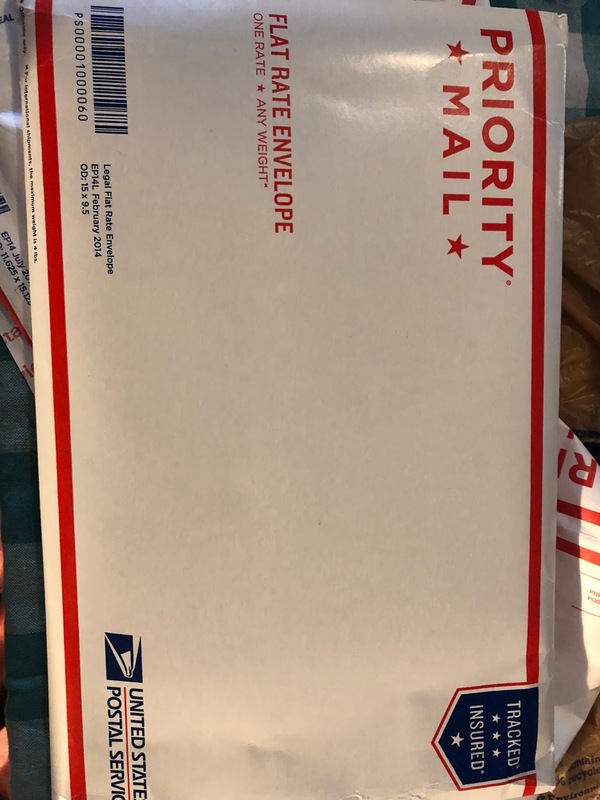 Be sure to click on the link below and see what they thought of the materials they received and their recommendations.